Free workshop! Calling all young musicians! 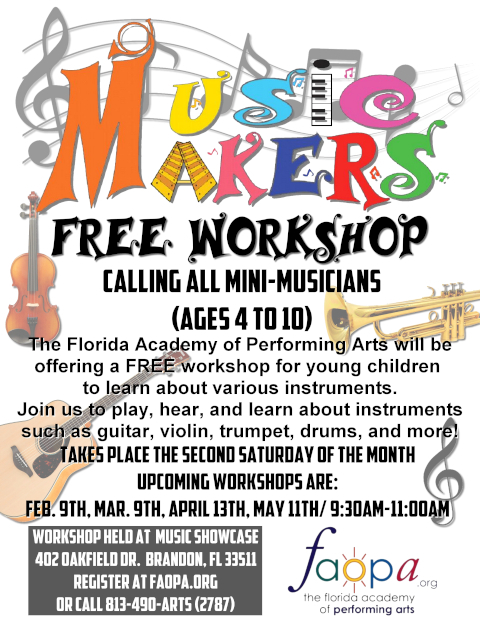 FAOPA will offer a free workshop for young children to learn the sounds of the instruments offered for private lessons at Music Showcase. Strum a guitar or sound the trumpet! Join us and see what sounds you can make in this fun interactive workshop and get a goody bag. Not sure what suits you, join us and find out.